We are a leading manufacturer & supplier of Pharmaceutical Equipment, Pharmaceutical Furniture, Clean Room Furniture, Canteen Equipments, Canteen Furniture, Material Handling Equipments, Pharmaceutical Equipment And Furniture. With great pride, we have set up ourselves as a leading manufacturer and supplier of an unmatched variety of Pharmaceutical Equipment, Pharmaceutical Furniture, Clean Room Furniture, Canteen Equipment, Canteen Furniture, Material Handling Equipments. These products are manufactured using high grade basic construction of material that is procured from reliable vendors of the market. Known for their longer service life and sturdy construction, these are highly demanded in various industries for different applications. 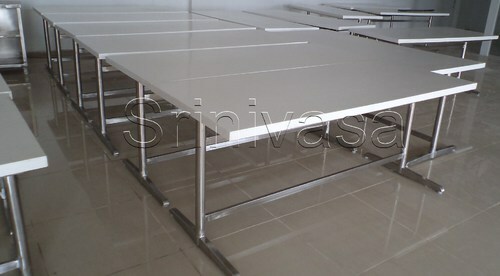 Moreover, these are available in different standard and customized specifications at industry leading prices.